Mow or rake fallen fruit to reduce pest pressure for next year. Mow tall weeds around trees to reduce rodent problems and deer rubbing. Make sure all new plantings get white paint (50% latex/50% water) from the base of the tree to scaffold limbs, to prevent sunscald. Irrigate this fall before the ground freezes. 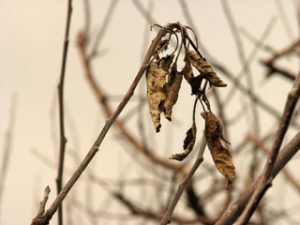 Fire blight-affected shoots are easy to spot in fall and winter because the leaves remain attached. The infected shoots should be pruned out when you conduct your normal late winter pruning. 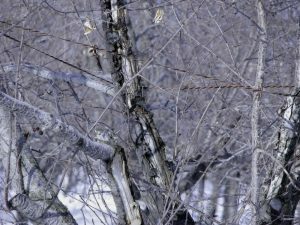 At that time (when trees are dormant), it is not necessary to sterilize your pruners between cuts, and affected shoots and branches should be removed 10-12 inches below the visibly diseased tissue. 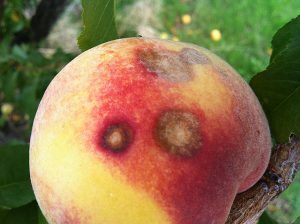 If you are diligent about removing as much fire blight as possible, you are lessening the chances of an outbreak for next season. Bacterial canker on sweet cherries enters through wounds, such as winter injury, causing gumming and death of buds, twigs, and large limbs. 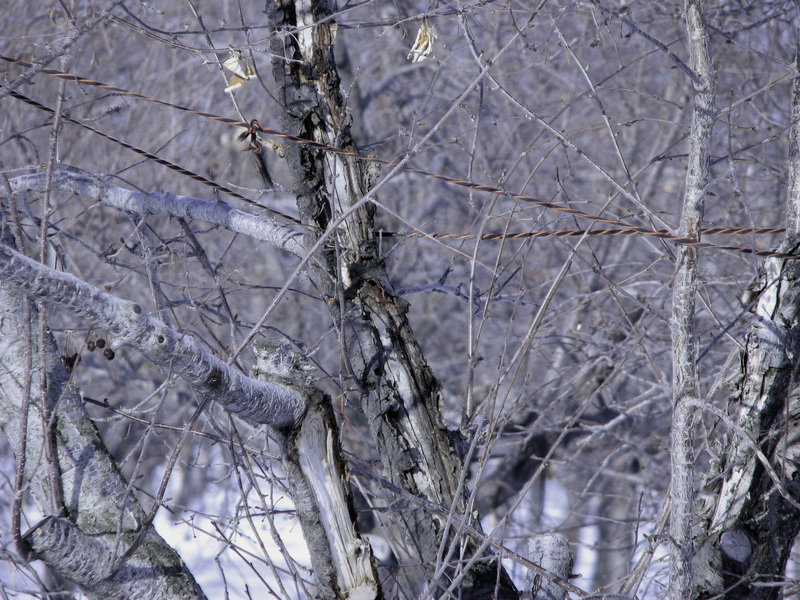 Spray affected trees with copper in mid fall. 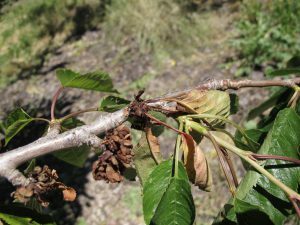 Bacterial canker (Pseudomonas syringae) is a disease of sweet cherry, causing oozing around dead buds, and twig and branch death. 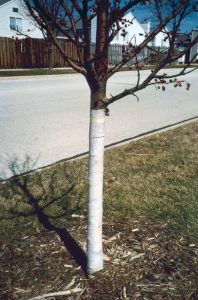 Like coryneum blight, new infections enter trees through leaf scars in the fall. 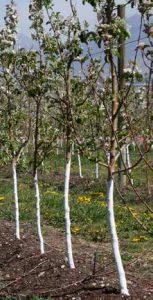 Research out of Oregon State University has shown that an application of copper in mid to late October can help reduce the incidence of this disease the following spring. Sweet cherries that show oozing sap from dead buds and twigs, along with clusters of dead leaves or dead shoots, typically means an infection by bacterial canker.